Very happy to be singing Mahler again this year. In september I’ll be singing Das Lied von der Erde but now it’s time for Mahler Symphony nr.3! 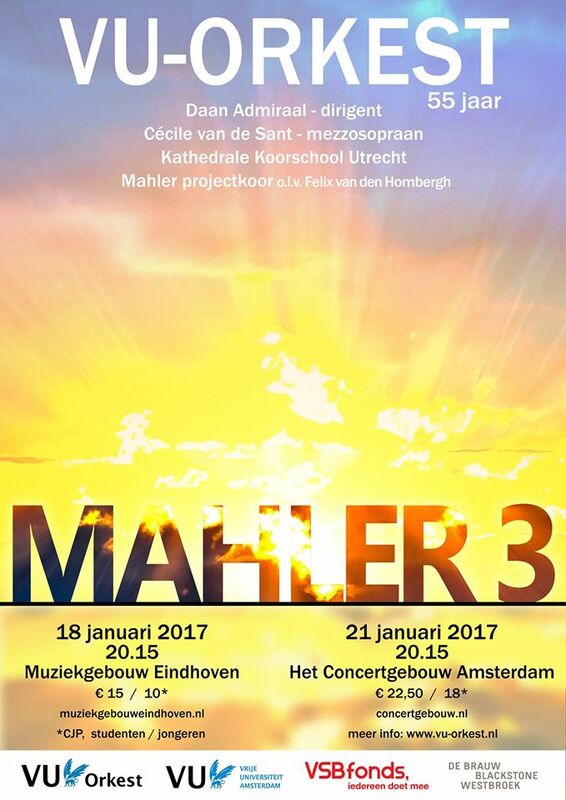 Wednesday Januari 18 in the Muziekgebouw in Eindhoven and saturday Januari 21 in the Concertgebouw Amsterdam. The music is so beautiful! For information on tickets please check http://www.vu-orkest.nl .